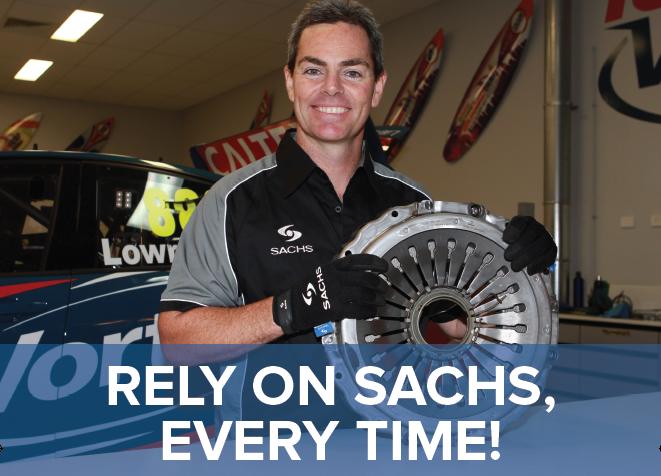 SACHS Brand Ambassador and Supercars legend Craig Lowndes relies on quality SACHS shock absorbers and clutches. Something he has in common with our customers looking for shock absorbers and clutches for their commercial vehicles that deliver optimal endurance and durability. Even with a high payload, SACHS products ensure successful vehicle performance on the road and offer premium quality. Commercial vehicles should run reliably and economically. SACHS clutches are specially tailored to the requirements of the vehicle manufacturers and are reliable, as required by you and your customers. 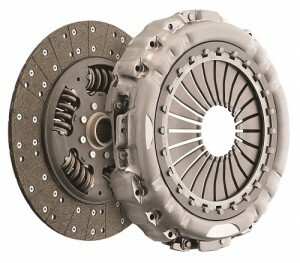 SACHS quality clutches are manufactured from high-quality materials. As a result, they are extremely durable and the state of the art clutches guarantee perfect drive characteristics. The fact that over 170 million SACHS clutches have been sold worldwide demonstrates the long-standing experience and the high level of competence of the specialists and the market leader in this sector. Also, SACHS clutches meet the latest environmental standards. Traditionally renowned worldwide as an OE supplier, SACHS also has a replacement shock absorber solution for a wide range of commercial vehicles on Australian roads. SACHS dampers ensure the reliable and cost-efficient operation of your commercial vehicles. They are extremely durable, enable optimal driving comfort, and effectively relieve the strain on vehicles and drivers. At the same time, they offer the highest level of transport safety, even in the case of a sensitive payload. In addition to conventional dampers, the SACHS portfolio includes driver’s cabin dampers, axle dampers for trailers, and suspension springs. Drivers prefer ride comfort when driving their buses and coaches. Dampers play an essential part in ensuring the safety of vehicles and occupants. In addition, they have to meet complex requirements: From varying payload weight to different types of routes, ranging from freeways and city traffic to steep serpentines. In all of these conditions, SACHS products for buses and coaches ensure optimum road contact, guaranteeing perfect manoeuvrability and effective braking performance. The use of linings that are free from asbestos and lead is a standard feature, as is the compliance with Reach.